Premium Indian Integrated Design & Communication Agency, VGC strikes a strategic alliance with Leading Dutch Design Agency, Total Identity to help Indian businesses scale up to achieve their local-global aspirations seamlessly. 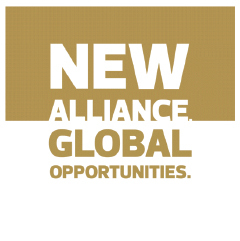 The alliance is already off to a great start with Dholera - India's first Smart City, assigning their brand mandate to VGC-Total Identity. 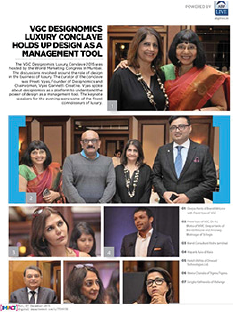 Our debut conclave; the ‘VGC Designomics Luxury Conclave 2015’ gets featured in the latest issue of the IMPACT – Weekly Advertising, Media & Marketing News. The event was a coming together of speakers of diverse backgrounds highlighting insights into building successful luxury businesses using Design as a management tool. The conclave was curated by one of India's leading brand builders, Preeti Vyas also Founder – Designomics and Chairwoman – VGC. The panel of Keynote Speakers included some of the finest connoisseurs of luxury in India; Anuraag Bhatnagar – General Manager - St. Regis Mumbai, Deepa Harris – CEO – BrandsWeLove, Mayank Ruia – Managing Partner – MAIA Real Estate and Ninee Rao – Brand Planner & Retail Design Strategist – Vyas Giannetti Creative. 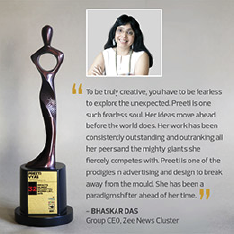 Preeti Vyas was awarded by IMPACT in its list of 50 most influential women in Media, Marketing and Advertising 2015, India. 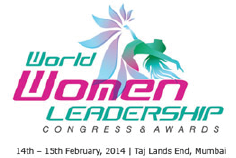 Preeti Vyas represents India on the world stage. Yet again.